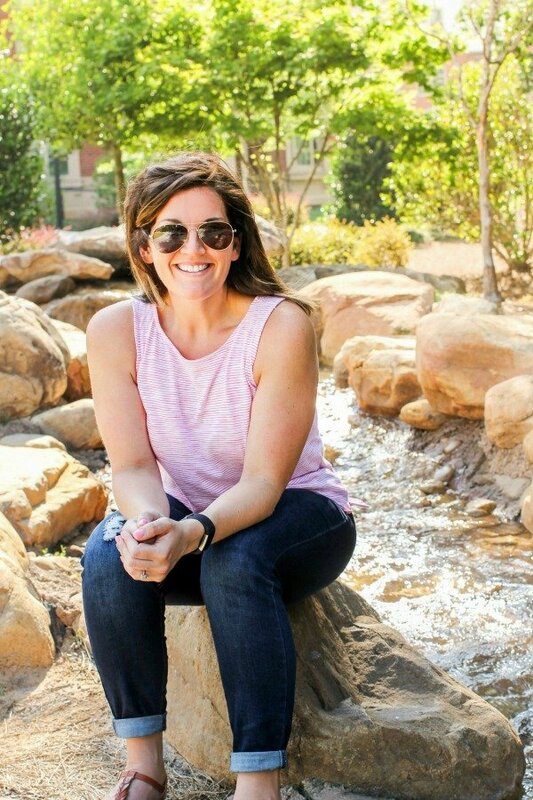 January 25, 2016 By Allyson 2 Comments This post may contain affiliate links. Read my disclosure policy. Sriracha Ranch Dip is perfect for game day or anytime really! 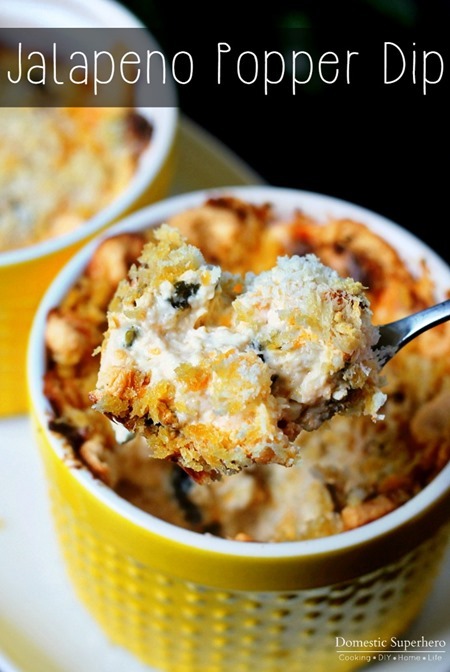 Cool, creamy, and a little kick – it makes the best dip ever! Now that the big game is right around the corner, I have been thinking up some delicious recipes to bring to the party we attend every year. I feel like dips always go a long way, and people love dipping pretty much everything, so I whipped up a delicious Sriracha Ranch Dip! I even made a video to show you exactly how to make it (scroll down to bottom for video)! 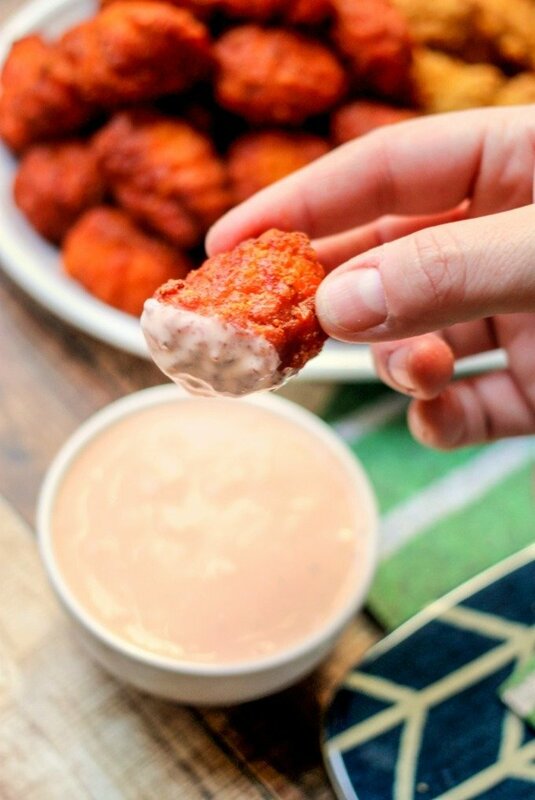 I wanted to make a dip that would compliment both the tenders and the buffalo wings. Automatically I thought ranch because who doesn’t love buffalo wings dipped in ranch? Next, I wanted to spice it up a bit so I added sriracha to the mix for a little kick. 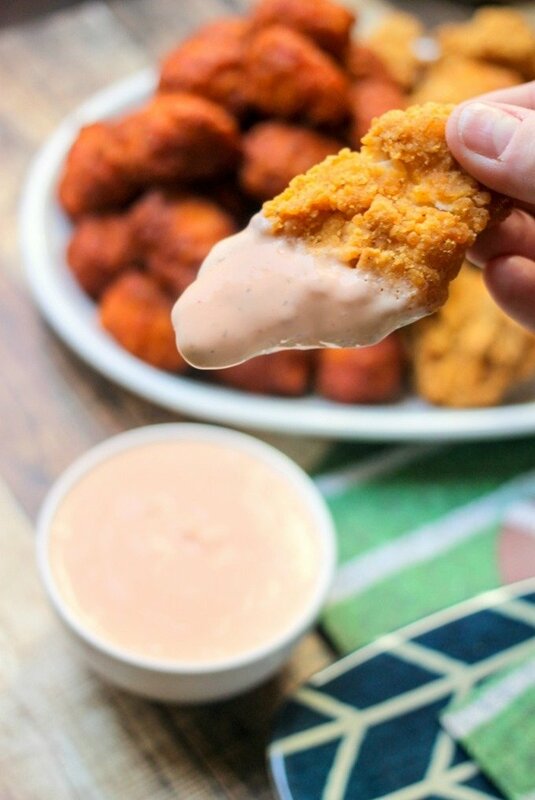 It works well with the chicken tenders giving it a punch of additional flavor, and with the buffalo wings, it enhances the spice, yet gives a cool creamy taste to soothe the heat. 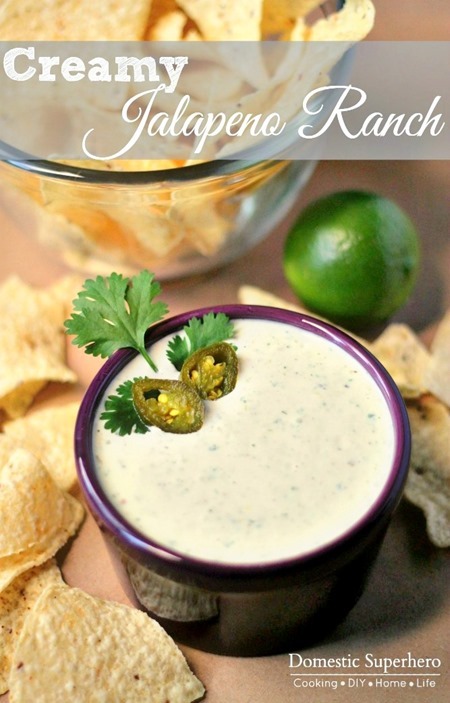 Sriracha Ranch Dip will be perfect for game day! 1. Add all ingredients to food processor or blender. Blend for 15-20 seconds, scraping down sides if needed and blending a few more seconds. Pour into bowl, and serve. 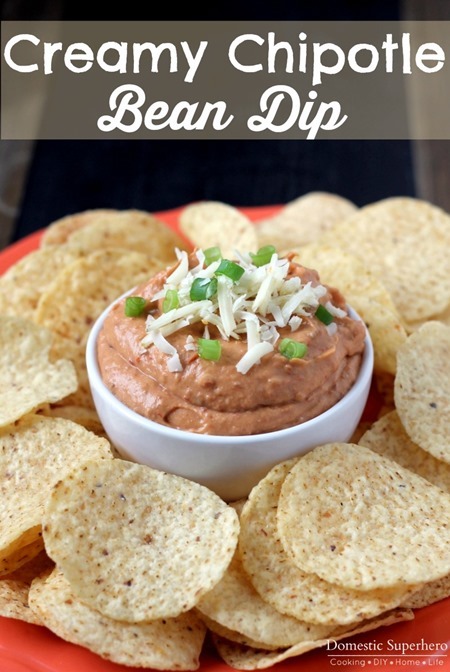 ****This dip is great if you refrigerate it a few hours before serving! It thickens and the flavors meld together. 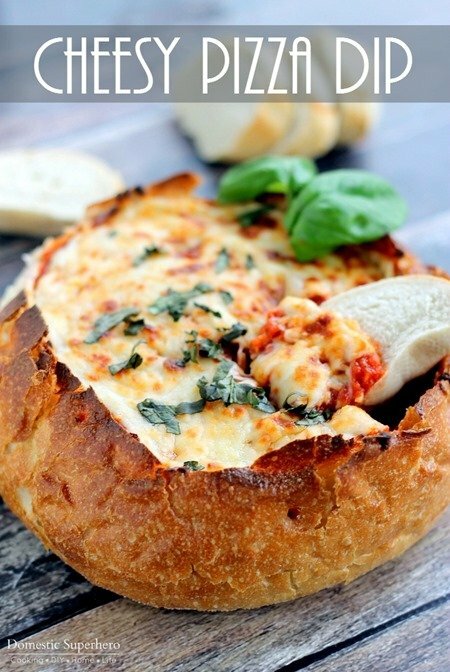 Easy peasy and it sounds delicious! 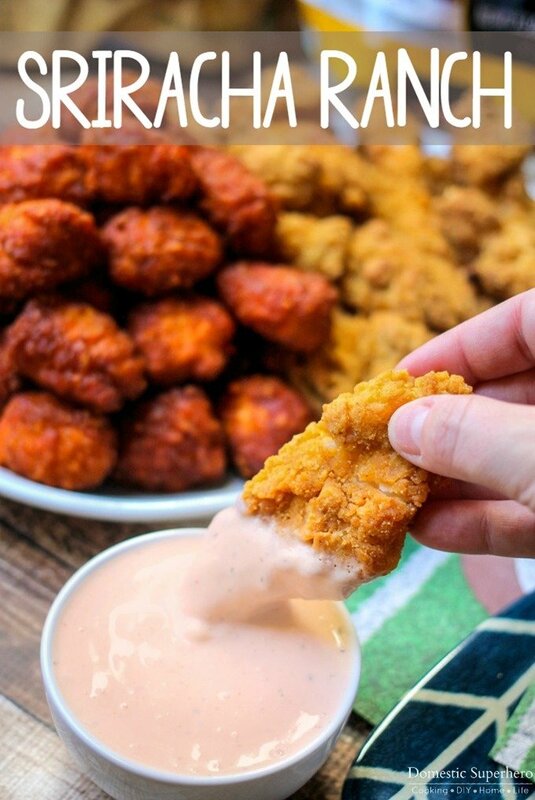 Love that you tried it with sriracha instead of the usual wing sauce!